"The herbal medicine, maoto, has been traditionally prescribed to patients with influenza in Japan. To better understand the efficacy of maoto for the treatment of influenza, a randomized trial was conducted for comparison with oseltamivir or zanamivir. ... Maoto granules, a commercial medical dosage form, are made from four plants: Ephedra Herb, Apricot Kernel, Cinnamon Bark, and Glycyrrhiza Root. Median durations of fever of patients assigned maoto, oseltamivir, or zanamivir were 29, 46, or 27 h, respectively, significantly different for maoto and oseltamivir. No significant between-group differences were found in total symptom score among three groups. Viral persistent rates and serum cytokine levels (IFN-α, IL-6, IL-8, IL-10, and TNF-α) during the study period showed no differences among three groups. The administration of oral maoto granules to healthy adults with seasonal influenza was well tolerated and associated with equivalent clinical and virological efficacy to neuraminidase inhibitors." J Infect Chemother. 2012 Aug;18(4):534-43. doi: 10.1007/s10156-012-0378-7. Epub 2012 Feb 16. "Based on the RNase I protection assay, both antimicrobials appeared to act directly upon the virus capsid and subsequently the RNA. Under TEM, the capsids enlarged from ≤35 nm in diameter to up to 75 nm following treatment with oregano oil and up to 800 nm with carvacrol; with greater expansion, capsid disintegration could be observed." J Appl Microbiol. 2014 May;116(5):1149-63. doi: 10.1111/jam.12453. Epub 2014 Feb 12. 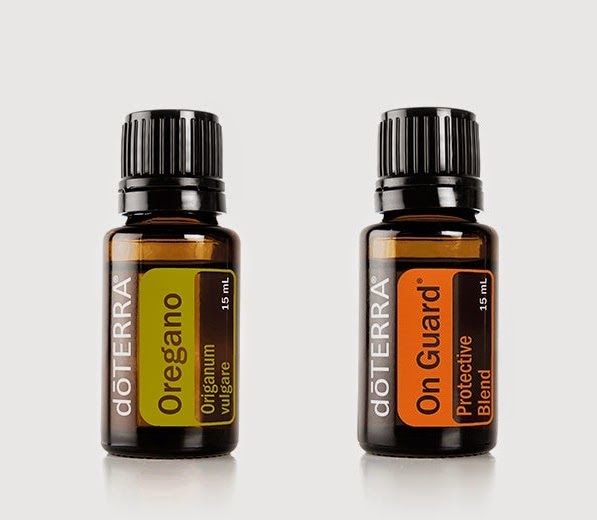 "As previously mentioned, these dōTERRA Essential Oil products are offered for conditions, such as ebola virus infection, that are not amenable to self-diagnosis and treatment by individuals who are not medical practitioners. Therefore, adequate directions cannot be written so that a layman can use these drugs safely for those intended uses. FDA-approved prescription drugs which bear their FDA-approved labeling are exempt from the requirement that they bear adequate directions for use by a layperson (21 C.F.R. §§ 201.100(c)(2) and 201.115). Because there are no FDA-approved applications for these products, the labeling of these products fails to bear adequate directions for their intended use and, therefore the products are misbranded under section 502(f)(1) of the Act. Accordingly, the introduction or delivery for introduction into interstate commerce of your misbranded dōTERRA Essential Oil products is a violation of section 301(a) of the Act [21 U.S.C. § 331(a)]."